Collegiate Coaching Services does not particularly support all statements made in these articles/videos; They are for educational and informational purposes only. http://videogames.procon.org/: Video Games ProCon.org is a nonpartisan, nonprofit website that presents facts, studies, and pro and con statements on questions related to whether or not video games contribute to youth violence. http://www.hooked-on-games.com/ Website created by a gaming addict in recovery who is also a medical doctor. http://www.insidehighered.com/views/2012/12/13/students-and-colleges-vulnerable-computer-gaming-addiction-essay: a parent whose young adult son is addicted to League of Legends video game wrote this article. 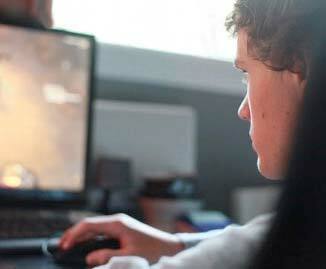 He explores current research and highlights trends that are promoting violent video games to children. The conclusion I draw from the accumulated research is that the question of whether video games are “good” or “bad” for children is oversimplified. Playing a violent game for hours every day could decrease school performance, increase aggressive behaviors, and improve visual attention skills. Instead, parents should recognize that video games can have powerful effects on children, and should therefore set limits on the amount and content of games their children play. In this way, we can realize the potential benefits while minimizing the potential harms. http://www.ncbi.nlm.nih.gov/pubmed/20192553: Research demonstrating that video games do lead to increased aggression and decreased empathy; both are correlated with overuse of violent video games. http://rt.com/news/china-internet-addiction-problem-561/: Game over? Chinese father orders son’s virtual assassination. http://www.esrb.org/index-js.jsp: Entertainment Software Rating Board assigns the age and content ratings for video games and mobile apps, enforces advertising and marketing guidelines for the video game industry, and helps companies implement responsible online privacy practices.